- RUSSIE : Lac Baikal - Russian authorities say a mini-submarine plumbing the depths of Lake Baikal has found several shiny metal objects that could be evidence of the legendary Czarist gold lost nearly a century ago during the country's civil war. Explorers discovered the metal objects - described as resembling gold bullion - 400 meters below Lake Baikal's surface. Explorers have long been hunting for the treasure, some 1,600 tons of gold allegedly carried by the White Army of Admiral Alexander Kolchak as it fled the advancing Red Army during the 1918-1921 civil war. - TURQUIE : Ikiztepe - At an early Bronze Age settlement called Ikiztepe, in the Black Sea province of Samsun in Turkey. The village was home to about 300 people at its peak, around 3200 to 2100 BC. They lived in rectangular, single-storey houses made of logs, which each had a courtyard and oven in the front. Archaeologists have found two cutting blades made of obsidian, a volcanic glass that forms a sharp edge when it fractures. The obsidian must have been imported from another region as there is no natural source of it in the area. They found the blades next to a circular clay platform that may have been used for religious ceremonies. The blades are double-sided, about 4 centimetres long, and very, very sharp. They would still cut you today. They have found traces of cuts on skulls in a nearby graveyard. Out of around 700 skulls, 14 have these marks. They could only have been cut with a very sharp tool. At this time, 4000 years ago or more, it could only have been an obsidian blade. The cut marks show that a blade was used to make a rectangular opening all the way through the skull. Archaeologists know that patients lived at least two to three years after the surgery, because the skull has tried to close the wound. 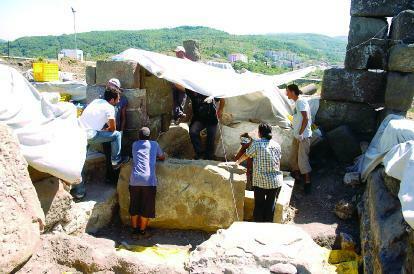 - TURQUIE : Tieion - Excavations are continuing at the ancient city of Tieion, which was established in Filyos in Zonguldak’s Çaycuma district in the 6th century B.C. Excavations in the ancient city began in 2006 and among works unearthed so far are a civic tower, coastal walls, an aqueduct, a theater, a temple, a church, 10 graves and a collection of metal coins. A 2,500-seat theater has been located at the entrance of the city, but because of limited finances this year’s excavations will finish in two weeks time, leaving the complete excavation of the theatre and remaining unexplored areas buried. - PACIFIQUE : Palau - New research from North Carolina State University shows that a species of shellfish widely consumed in the Pacific over the past 3,000 years has actually increased in size, despite – and possibly because of – increased human activity in the area. At issue is the humped conch, Strombus gibberulus, a small mollusk that has been a food source in the Pacific islands for thousands of years. The researchers dated and measured more than 1,400 humped conch shells found at an archaeological site on the island of Palau in the western Pacific. They expected the size of the conchs to decrease over time, based on the conventional wisdom that an expanding human population would result in the conchs being harvested before they could achieve their maximum size. 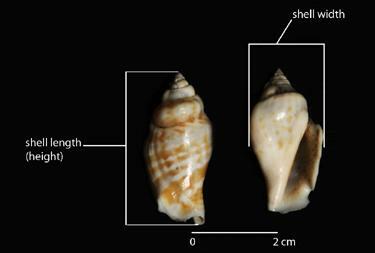 Instead, the researchers were surprised to find that the average size of the conchs actually increased in conjunction with a growing human population. Specifically, the length of the average conch increased by approximately 1.5 millimeters (mm) over the past 3,000 years. That may not sound like much, but it is significant when you consider the conchs are only around 30 mm long – which means the conchs are now almost 5 percent larger than they used to be. - CHINE : Nord - Chinese archaeologists have found the ruins of two prehistoric villages in Tongliao City of eastern Inner Mongolia. The archaeologistsin north China's Inner Mongolia Autonomous Region found the ruins in Hamin'aile Village, of Horqin Left-wing Middle Banner (County). The remains were identified in the spring as possibly originating from Hongshan Culture, dating back 5,000 years. About 1,200 square meters had been excavated out of an estimated 200,000 square meters, and homes and tombs had been discovered.Pitted earthenware, such as jars and pots, were also found, which was the first time that have been unearthed in the prehistoric ruins in northeast China. Another group of prehistoric village ruins were located in Nanbaoligaotu Village, of Jarud Banner, with a total area of 10,000 square meters, and more than 200 articles of earthenware, stoneware and jadeware had been discovered.nlike the Hamin'aile Village finds, the jade articles in Nanbaoligaotu Village were made with white jade, which was mainly found around Lake Baikal in Russia. - CANADA : Arctique - Canadian scientists' announcement Monday that they failed to find the final resting place of British naval hero Sir John Franklin deepened one of the most enduring mysteries of the Arctic. 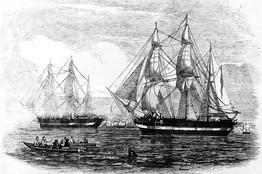 In May 1845, Franklin set sail from England with 134 men aboard two ships, the Terror and Erebus, to search for the fabled Northwest Passage through the Canadian Arctic to the Pacific Ocean. Five sailors left the ship in Greenland. The rest were never heard from again. Last week, a six-man government survey team, supported by the Canadian Coast Guard vessel the Sir Wilfrid Laurier and its near 50-man crew, surveyed hundreds of square miles of frigid sea floor hoping to succeed where some 100 other expeditions failed—discovering the fate of the ships and a crew whose demise has been attributed to factors from lead poisoning to cannibalism.